Know How to Approach the Boss for a Raise? I have a friend who Iâve known for nearly two decades and I can say without a doubt that heâd give you the shirt off his back. That being the case, there is one action, or I should say lack thereof on his part, that makes me shake my head. Not only did he take a major pay cut several years ago, heâs afraid to ask his boss for a raise. Now granted, we all know that times are tough and there remains much debate as to whether or not weâre headed for another recession. Still, a man has to eat and keep a roof over his head, so asking for a raise is something that should never be out of the question. As it turns out, he and I have had this discussion numerous times and he continues to claim that he wonât get the raise, so why bother wasting his time. Okay, I know I need to keep my nose out of other individualâs business, but it pains me to a see a good friend give up the fight, if in fact he ever fought to begin with. While there is a good chance knowing his boss he will not get the raise, what does it hurt to discuss it, especially since it has been several years since he saw an increase in his hourly rates? This friend works as hard as anyone I know, and he certainly is not being properly compensated for his efforts. In essence, he is afraid that heâll get the boot if he goes to his boss seeking a raise. While I respect and understand where he is coming from, it is something that I would handle differently. That being said, how should you go about seeking a raise when in a similar situation? Show appreciation either way â Given the fact that 2011 remains an employerâs market, it is important to show appreciation to the boss for having the raise discussion in the first place. 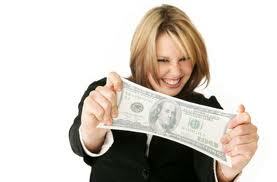 Companies are not obligated to give out raises on a regular basis, so appreciate them when they come along. Asking for a raise is something that most employees equate with going to the dentist or having to spend time with their mother-in-law. If youâre in the position where it is time to seek a raise, make it your job to handle it the right way so that your job is never placed in jeopardy. Dave Thomas, who covers among other subjectsâ background checks and business credit cards, writes extensively for Business.com, an online resource destination for businesses of all sizes to research, find, and compare the products and services they need to run their businesses.